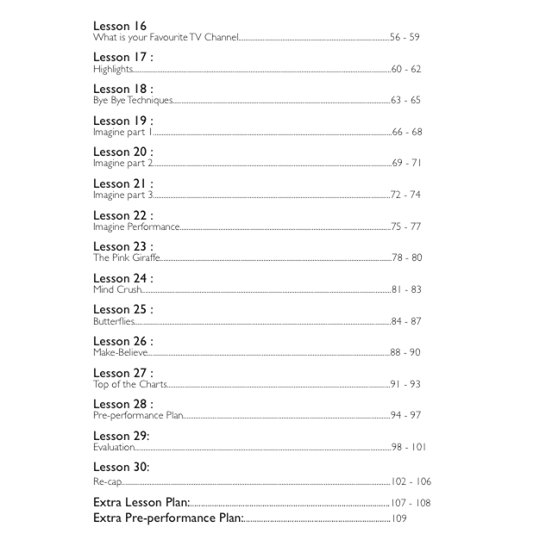 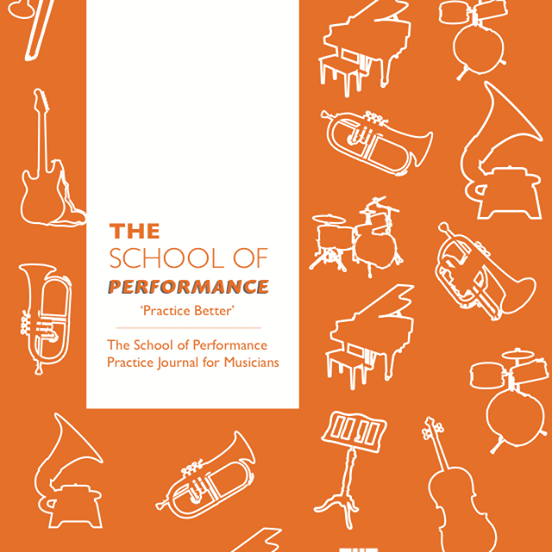 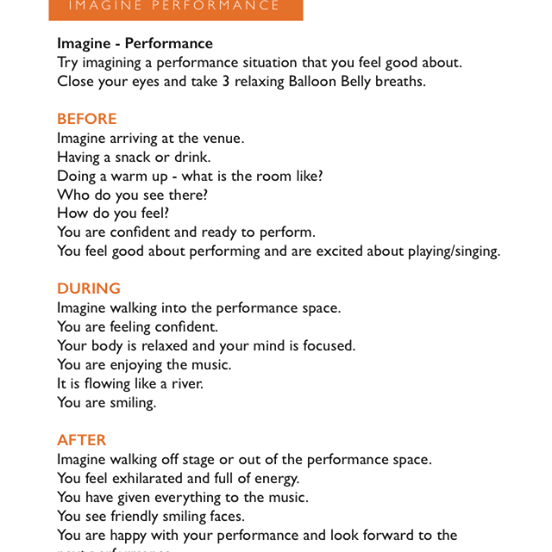 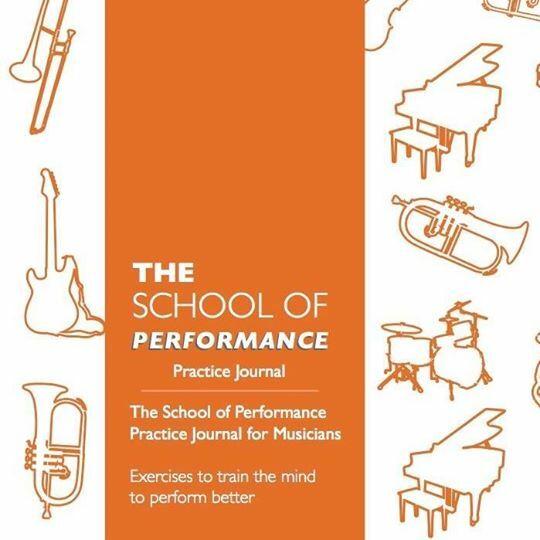 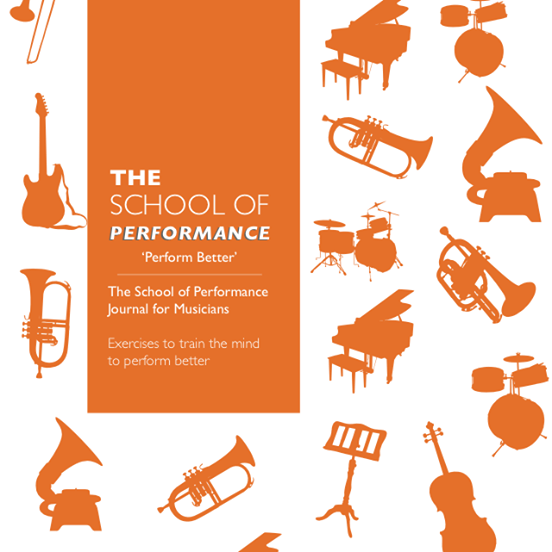 The School of Performance Practice Journal brings you through a 30-week lesson plan specifically designed to increase your confidence, concentration, focus and most importantly your enjoyment of performing. 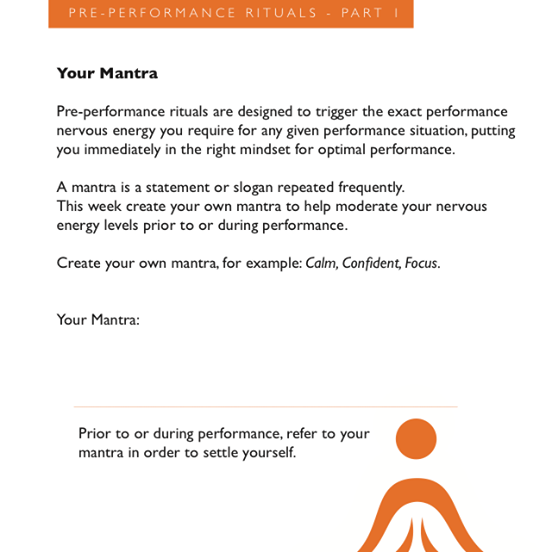 Each lesson is divided into two parts, your practice and your mental preparation for performance. 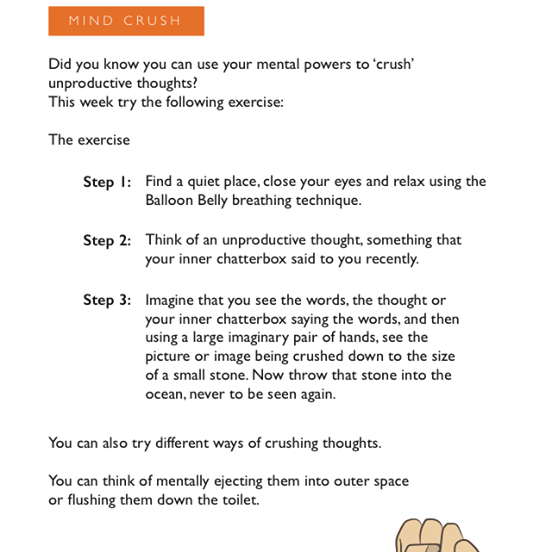 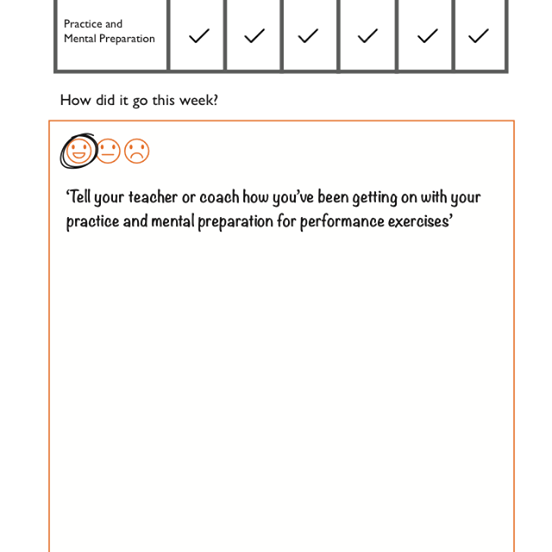 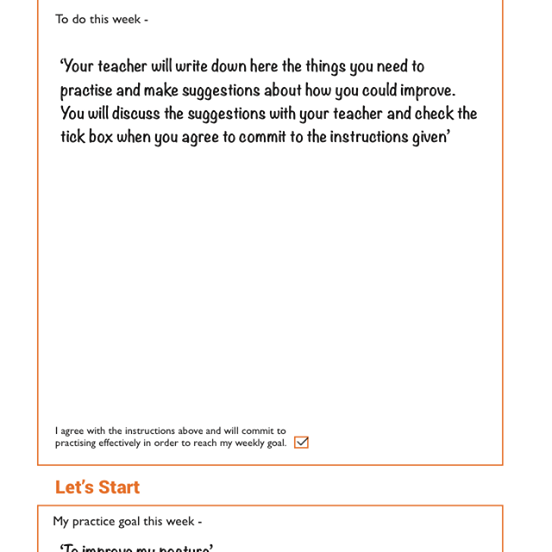 In addition, The School of Performance practice record and feedback tool gives you the opportunity to check on your own practice and mental preparation every week.